The Killeen Police Department is seeking assistance in identifying a suspect in two aggravated robberies. Officers responded to La Tapatia Mexican Restaurant, located at 208 W Rancier Ave., at 10:08pm on Friday, October 17, 2014, in reference to a robbery. Upon the officer’s arrival, they spoke with the employees who told them that a black male entered the business with a gun, pointed it at them and demanded money. The suspect took an undisclosed amount of cash and then fled the restaurant in a dark colored SUV. 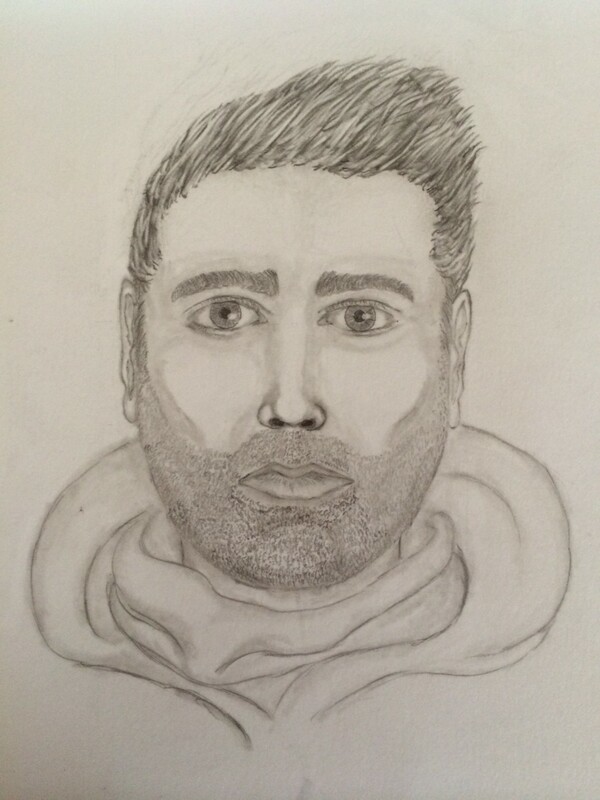 The suspect was described as a black male about 5’6″ to 5’8” tall and weighing 180-200 pounds with a husky build. 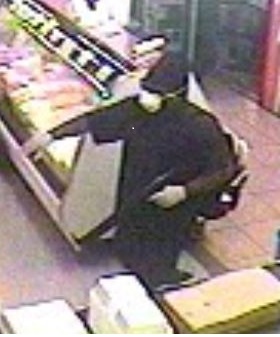 He wore a black knit cap, sunglasses, and a white construction mask over his face, a black short sleeve shirt, dark or black jeans and brown shoes. The suspect was also wearing white latex gloves and was carrying a white and black backpack. The following night, Saturday, October 18, 2014, officers responded to Choice BBQ, located at 2606 E Veterans Memorial Blvd., at 8:47pm, in reference to a robbery. The employees told the officers that a black male came in, pointed a gun at them and demanded money. 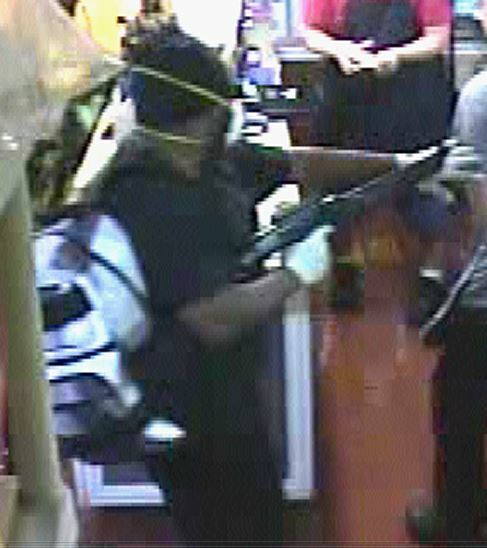 The suspect then exited the business with an unknown amount of cash. The suspect in this robbery was described as a black male wearing a black rag on his head, a white mask on his face, white gloves and black pants. 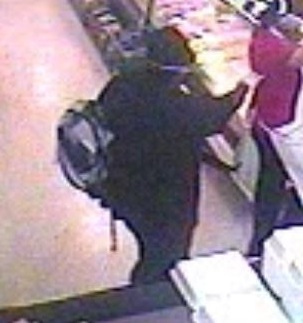 Detectives have provided photos from both robberies. Detectives are asking anyone who can identify this robbery suspect or has information about this incident to contact Crime Stoppers at 254-526-TIPS (8477), go online at www.bellcountycrimestoppers.com or text BELLCO along with their tip to 274637. Text HELP for help with the tip or text STOP to stop the tip, message and data rates may apply. All information is anonymous and confidential and if your tip results in the arrest of the suspect involved in this crime you could be eligible for a reward up to $1,000 in cash. Killeen Police are asking for the community’s help identifying two suspects using a stolen debit card. Officers filed a report for a burglary of a vehicle that occurred between 6:00 pm on Wednesday, September 3, 2014 and 8:00 am, on Thursday, September 4, 2014, in the 4300 block of Mallard Lane. Officers were told by the victim that someone burglarized their 2010 Honda Civic. The victim noticed that several items, to include a debit card, were missing. 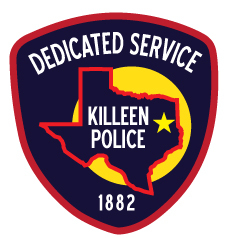 The victim learned that the stolen debit card was used at various stores in Killeen. Detectives provided photographs of two suspects exiting a store after using the stolen debit card. The suspects appear to be white males that are medium build. 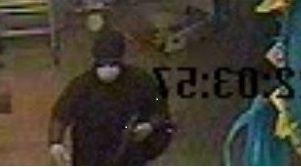 The first suspect is wearing glasses, a black baseball cap, blue shirt, gray sweatpants and black tennis shoes. 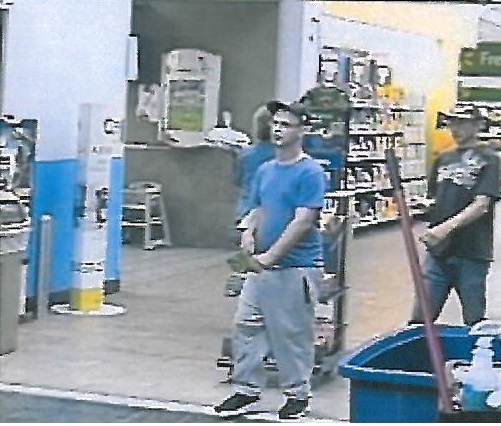 The second suspect is wearing a black baseball cap with a red bill and light lettering, a black t-shirt with a design on the front and blue jeans. The suspects drove away together in a black sedan. 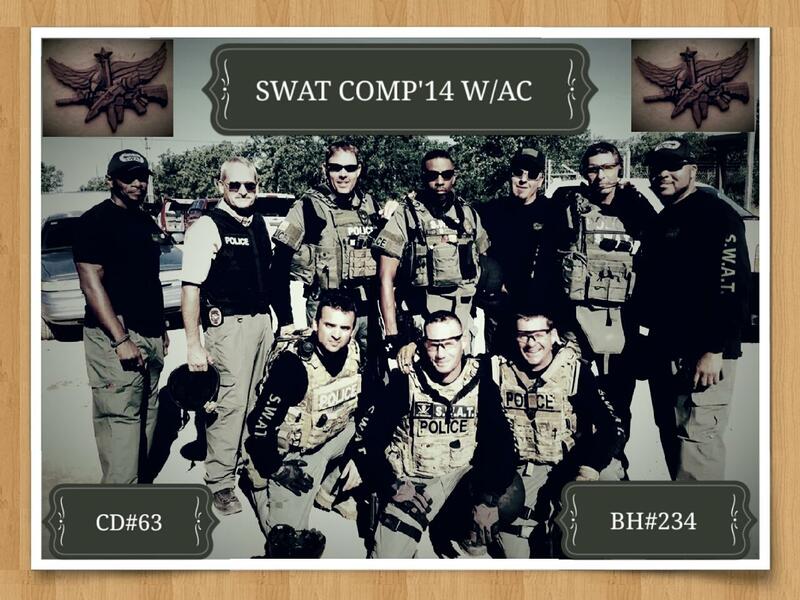 The Killeen Police Special Weapons and Tactics Team awarded first place in the 2014 CEN-TEX SWAT Challenge Overall. Several members of the SWAT team competed this weekend on Fort Hood in four separate courses; Individual Shooter, Individual Agility, Team Shoot house and Team Obstacle Course. Over the three day event, the team was challenged not only physically and technically but mentally as well. 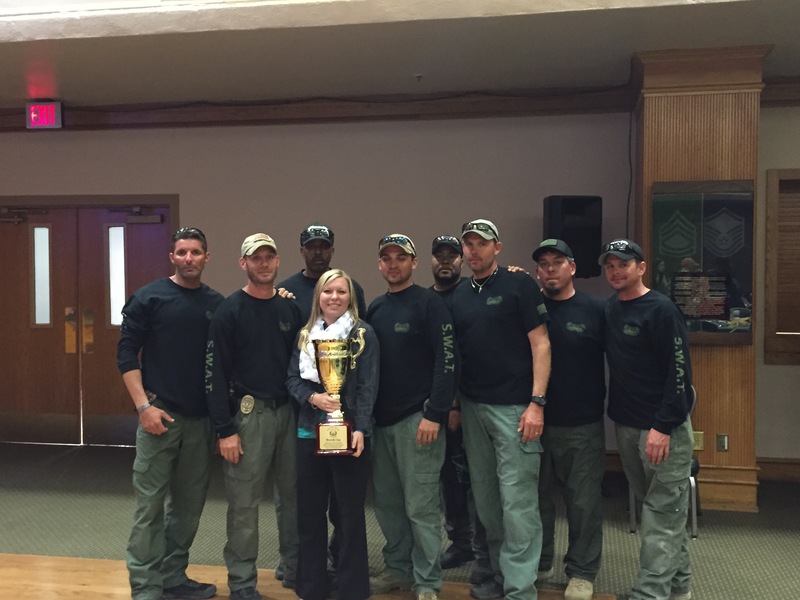 With tough competition and outstanding support, the team was awarded first place in the 2014 CEN-TEX SWAT Challenge Overall and brought home the Hornsby Cup. The Hornsby Cup has been identified as the Overall award for the winning team of the Cen-Tex Challenge. This award was established last year after the death of Killeen Police Department SWAT Officer Robert “Bobby” Hornsby who was killed in the line of duty during a SWAT Operation. 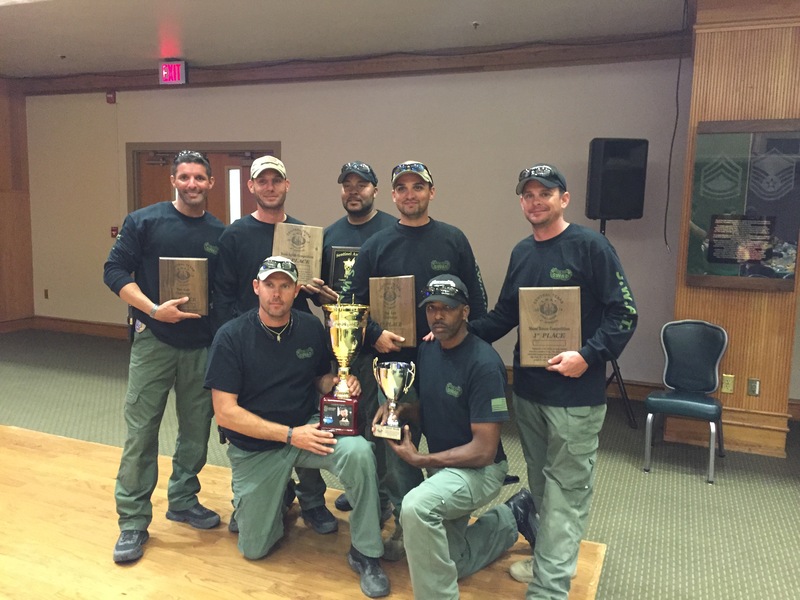 The competition team members were Officers Alejandro Sune and Zack Akers, Detectives Michael Truelove, Miguel Mirabel, David Daniels and Byron Goodsby. Detectives Jason Petty and Steve Kirk were support elements. Officer Akers was awarded first place in Individual Shooter and Officer Sune was awarded Second Place in Individual Shooter. The team was awarded first place in both Shoot House and Obstacle Course. The Cen-Tex SWAT Challenge Organizer’s has received approval from the Dinwiddie Family to name an award after him, CHUCK’S CUP was established and it will be awarded to the Top Individual winner; the Top individual winner consists of the Individual Shooter and Individual Agility course combined times. On May 11, 2014, Detective Charles “Chuck” Dinwiddie succumbed to his injuries from a gunshot wound during a SWAT Operation. The team would like to thank everyone who supported the efforts put forth by the competition team. Many long hours of training and support went into the preparation for this year’s competition and could not have been accomplished without those who supported the team’s efforts. All the subjects in the previous photos have been identified. Thank you for all the information given to assist our department in this investigation. Killeen Police need your help identifying two suspects who used a debit card that was stolen from a vehicle. Officers responded to an alarm at the Scott and White Pharmacy, located at 2500 Cross Dr., on Wednesday, September 30, 2014, at 2:50am. Upon the officers’ arrival, they found the front door shattered and evidence that the business was burglarized. Detectives reviewed the security video which revealed four suspects entering the pharmacy and taking an undisclosed amount of prescription medications. All four suspects were wearing dark colored pants, blue sweat shirts with hoods, and gloves. Three of the four suspects were also wearing ski masks to obscure their faces.